If you’re running the latest iOS 12.2 betas, you may have noticed a 5G icon in place of LTE in the corner of your iPhone. Don’t get too excited though, it’s not 5G. You’ll only see the 5G icon (which actually says “5G E”) if you’re an AT&T user in certain markets. There’s a reason for that. The E stands for evolution, as in 5G Evolution, AT&T’s somewhat misleading brand name for its upgrade to 4G LTE. In other words: It’s not 5G. It’s just faster LTE with a thin veneer of marketing making it sound better than it is. The carrier claims that 5G Evolution is the “first step” on the road to actual 5G. But besides its flashy name, 5G Evolution doesn’t really have much to do with actual 5G at all. AT&T says it could bring speeds up to 40Mbps to its users, which isn’t that much faster than current LTE speeds. That’s because 5G Evolution actually uses pretty current 4G LTE technologies already in use by other telecom companies. That includes carrier aggregation, 4×4 MIMO, and 256 QAM — which all “adds up to faster speeds” for the user, AT&T says. AT&T’s 5G Evolution is already live in about 400 markets across the U.S., with more regions to come later this year. 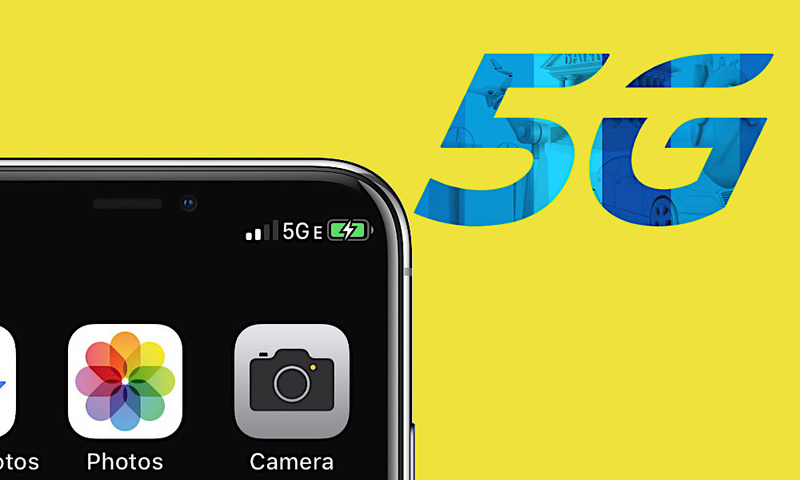 As far as the fake 5G icon itself, the carrier first rolled it out to certain Android smartphones early last month. It also said it would debut the 5G E icon on more devices this spring. With the icon’s appearance in the iOS 12.2 beta, it looks like iPhones are going to be among them. Amusingly, when the 5G E icon started showing up on Android phones in January, T-Mobile was quick to take the opportunity to throw some shade at AT&T for its misleading branding. True 5G devices, of course, aren’t here yet. And 5G-compatible iPhones aren’t expected to hit the market until 2020 at the earliest. But even when 5G devices start debuting this year, it may take quite a bit longer than that for the average smartphone user to actually see any tangible benefits from the next-generation technology.